People often ask me where I draw my musical inspiration from, and I sometimes draw a blank. Reason being: most of the things that inspire me are not music. Theater, film, art, literature, history, religion, thought...these are the things that really move me the most. For me, there are few things worse than being stuck in the audience at a bad piece of theater, but the converse is also true: when theater is really effective, no other art form can touch it for the visceral, exciting, startling feeling it inspires. 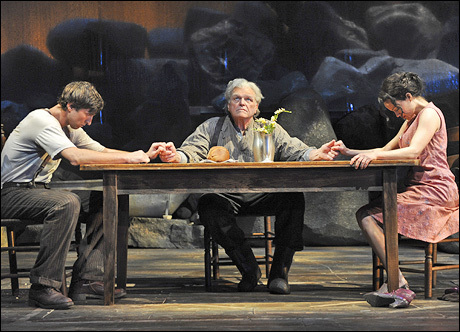 This week I had the opportunity to see The Goodman Theatre's production of O'Neill's DESIRE UNDER THE ELMS, as good and imaginative a production as I've seen on Broadway in a long time. Today I read that the show is closing early (May 24) because of bad box office receipts, mainly due to getting shut out of the Tonys (a travesty). Even if there are some casting issues, I still urge you to go see it before it's gone forever. In the musical realm (although there was a good deal of theater in this too), I had another opportunity to see Leonard Cohen perform last night in Waterbury, CT. 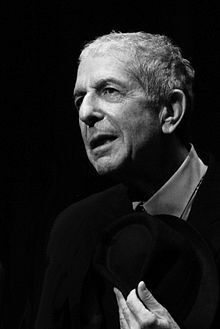 I caught him for the first time last October in Obernberg, Germany, but Leonard and the show have only gotten better in the intervening months. He's absolutely at the top of his game: totally present, giving, and fully cognizant of his tremendous power at this late stage of his career/life. He's in NYC this weekend, then has a few more dates in North America before he heads back to Europe. Amazingly, there are still seats left at many of the shows. Really, if you can, do yourself a favor and go and see Leonard Cohen. You'll never forget the experience.